When you use the SoundCloud service to promote any of your creative products or demo songs that you plan to sell in the future, the number of likes on the published audio recordings plays an important role. And at the initial stage, when your record has less than a dozen likes (or none at all), it makes sense to take advantage of the possibility to load up likes in Soundcloud. An impressive number of Soundcloud likes will give your audio weight in the eyes of those who listen to it, and will encourage listeners to click new likes on their behalf. It is recommended to use the likes load-up in combination with the load-up of plays and downloads, so that a large number of likes does not look strange against the background of a small number of plays. Sometimes there is a real need to accelerate the promotion of your creativity to make it more visible. 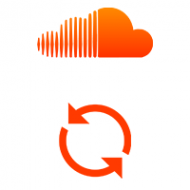 One of these ways is to drive up likes to your Soundcloud account, in order to increase attention to certain songs, or an increase in the number of plays for the same purpose. 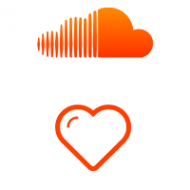 You will probably agree, that when you look through Soundcloud profiles and tracks of other musicians and DJs for the first time — your attention is more attracted to the works, which have already received a lot of plays, likes and the profile of the musician is quite popular (who has a lot of followers) than those who have few. Therefore, with proper and careful use of this tool such as buying, additional likes give you a better chance to be noticed by other Soundcloud users. Therefore, if you want to speed up your progress a little and become more noticeable — you are welcome to smmlaboratory.com. Just when you think about such a promotion, first of all, evaluate your page from an ordinary listener who happened to be on your page or who got to view your work (along with others who showed up in the search). And give an honest answer to yourself: what will you listen to first?